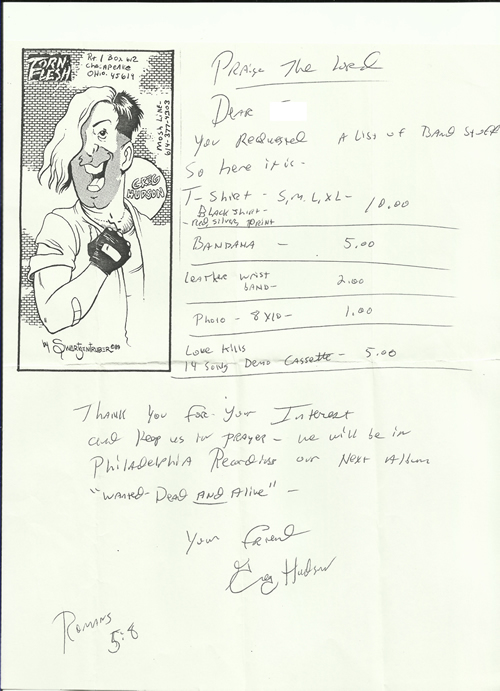 In the late summer of 2017, I was contacted by a Christian music blogger who had received correspondence from Greg Hudson in 1990 very similar to what I had received in 1991. What's interesting is the reference to new material -- here described with a working title of "Trilogy of the Damned." Roughly a year later I was told the working title for a new album was "Road Kill." 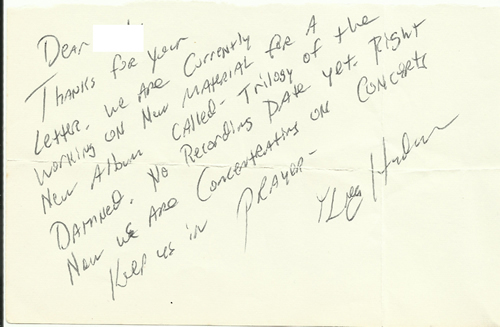 Another letter from a few months later also referenced work on new music -- now titled "Wanted Dead and Alive." The content expressed by Torn Flesh does not necessarily reflect the opinions of TimLybarger.com.